You are here: Home \ News \ Dutch artists support the protest of their Palestinian colleagues to Andre Rieu: Do not perform in Tel Aviv! Andre Rieu, the Dutch program maker and concert violist, will perform in Tel Aviv from 3 to 7 April. Palestinian cultural organizations have asked Rieu in an open letter not to perform in Tel Aviv, because Israel is violating the rights of Palestinians and implements a brutal military occupation. Just as artists refused to perform in Sun City during apartheid in South Africa in protest against the oppression and the lack of equal rights, today Palestinian artists ask their brothers and sisters not to play in Tel Aviv. In January of this year, more than a hundred artists supported the New Zealand singer Lorde in her decision to abandon her performance in Tel Aviv due to the occupation. Famous artists preceeded her including Elvis Costello and Alice Walker and many other artist support a cultural boycott, including Ramsy Nasr and the Belgian writer Kristien Hemmerechts. Today, in support of their Palestinian colleagues, Dutch artists join forces and endorse the letter from their Palestinian colleagues to Andre Rieu. Like to join us? 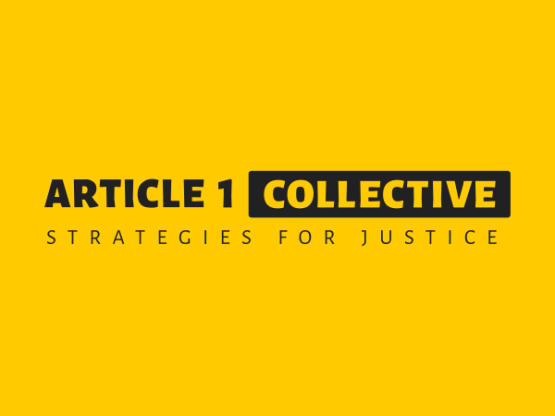 Write to info@article1collective.org and mention your name and profession.